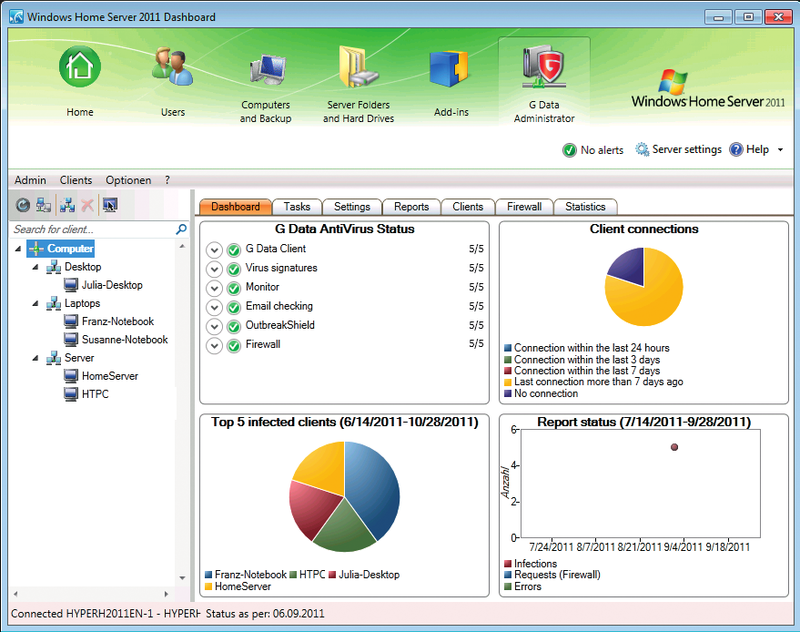 G Data Internet Security for Home Server protects both version 1 of Windows Home Server and WHS 2011 and up to 5 connected PCs. Protection is controlled centrally on the home server and is completely transparent on the PCs connected to it. 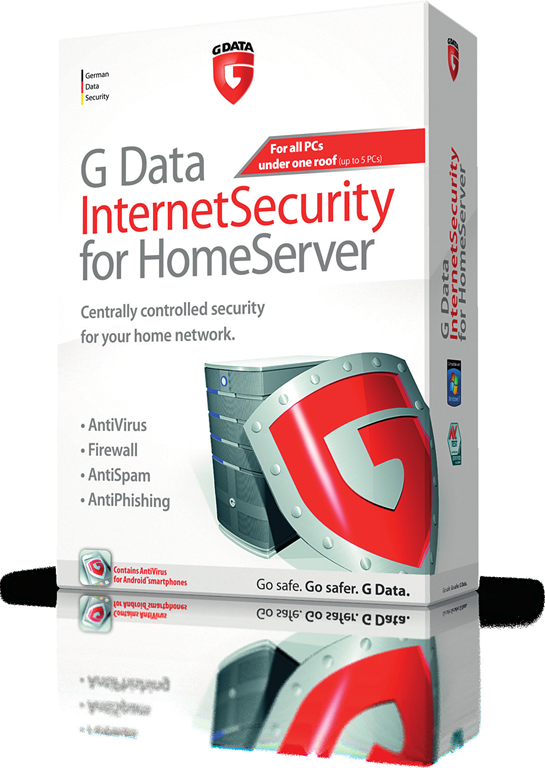 The G Data Internet Security for Home Server includes a AntiVirus, Firewall, AntiSpam and AntiPhishing. „Invisible“ client protection in the background, including for computers that are not permanently connected to the home server. Blocks and reports DoS attacks, port scans and much more. G Data Internet Security for Home Server is priced at $99 (£99) and includes a one-year licence for 5 PCs with hourly virus signature updates, software updates and version upgrades. More details are available from here. Thanks to WeGotServed for the details.